To Katie G, friend. 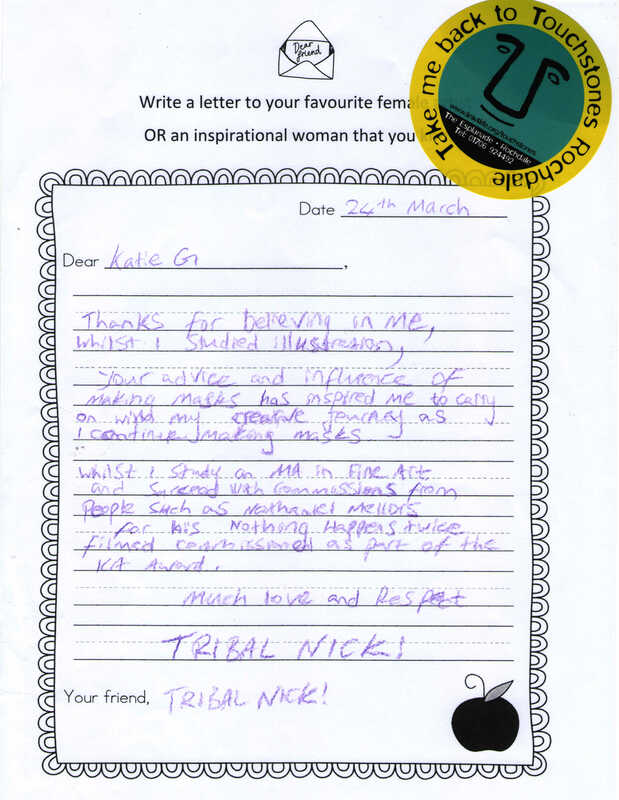 From Tribal Nick. Dear Katie G, Thanks for believing in me, whilst I studied illustration. Your advice and influence of making masks has inspired me to carry on with my creative journey as I continue making masks. Whilst I study an MA in Fine Art and succeed with commissions from people such as Nathaniel Mellors for his Nothing Happens Twice films commissioned as part of the KA Award.